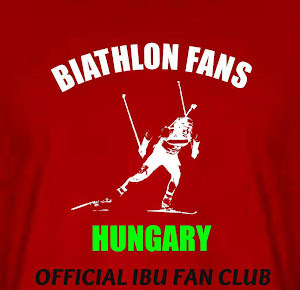 Till now we asked athletes from 18 nations, but today we will explore a new country, a new culture in biathlon. A little young girl found us, and now we would like to know a bit more about her. Today we have interview with Baiba Bendika from Latvia. BFH: Dear Baiba, thank you very much to accept our interview request. We was very happy when we saw your like in our page. What sparked your interest in us? Baiba: Some of my friend had put "like" to one of your posts and so I looked your page closer and found some really interesting information there and nice interviews to read! BFH: When did you start biathlon, and why did you choose this beautiful sport? Baiba: I was really young, it could be 2001 I think, but first biathlon medal I have from 2005. My first trainer is my dad's old trainer, so.. But when I was young I also participated in orienteering sport, running, skiing and floorball, but I chose biathlon, because I loved it the most! BFH: How popular is biathlon in Latvia? Do you get enough support from your country and from your fans? Baiba: Now popularity is going down a little bit, so it's sad, because now we even can't form the woman relay team. But emotional support is good and it's really helps! other side is financial support..
BFH: Every athletes are different. Somebodies like flat tracks, and somebodies like hilly tracks. And you? Which places are your favourites? You completed your pesonally best in Nove Mesto. Is it one of them? Baiba: I would like to say that I like safe tracks, like one of my favorites are Beitostolen and Antholz-Anterselva, so it's something in the middle between flat and hilly tracks. But Nove Mesto is in my "ok" track group. BFH: You are very young, in this winter you completed your 2nd season in the World Cup series. How can you summarize your performance? Are you statisfied? Baiba: This year I started only in one World cup and I wasn't ready to start in altitude like it is in Antholz, so I had bad performance there. 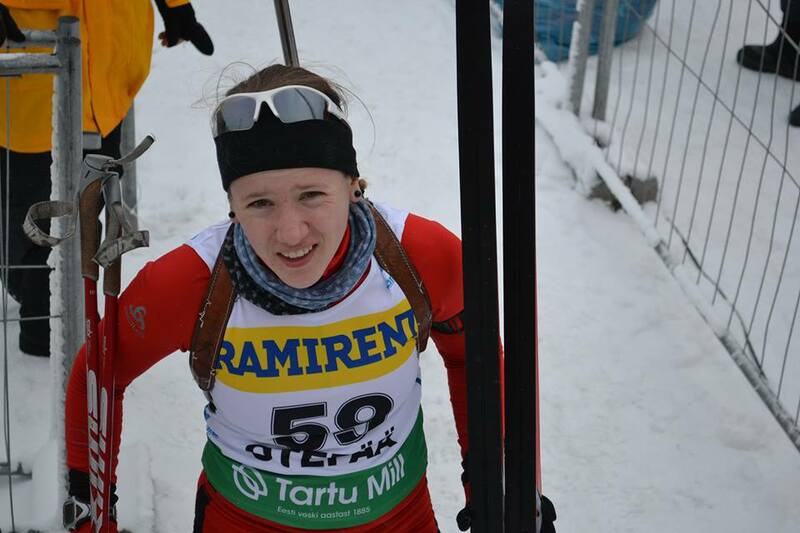 But in IBU cups I had quite good season and some good progress, so I would like to say that my season was good. BFH: You have chance to take part in your first Olympic Games in the next year in Sochi. I think now you are more motivated than ever. What do you think about your chances, and what are your goals in Sochi when you can start there? Baiba: My chance is 1 out of 3, because we are 3 girls in team, but we have one place to Sochi. And possibilities are quite similar, Ţanna is faster in track, but she is not so good in shooting range, and with Inga we are quite similar in track and shooting. So the selection competitions will be really interesting. But if I get to Sochi, my goal will be just do all my best! BFH: What are your goals in the World Cup season? Maybe reach your first point? Baiba: Second year we have only one place in World Cups, so now I don't know in how much of them I will start, but points would be wonderfull, but I think it's not yet this year's goal. But in IBU Cup I want to see myself in Top 20! BFH: You just completed your first bigger competition in your preparation time in Estonia in the Summer Open European Championships. What do you think now your work and your results? You are on a right way or you have some things what you should improve in yourself? Baiba: It absolutely was good positive emotion dose! And I am really happy with my 5th place in sprint! And the relay and sprint gave me more confidence in shooting range, but I have very much work to improve my speed in track. BFH: What habits do you have before the races? Have you got mascots? Baiba: I think that I haven't special habits before races. Maybe like habit I can call special diet before races, but so I just try to stay positive before start. And like a mascot I have latvian flag wristband with aperture insert from my old rifle. BFH: Now, please tell to us something about your private life. What do you like to do, and how do you spend your free times between the races and seasons? Baiba: So that I haven't much free time, one of my favorite activities in free time are to sleep late with my boyfriend, watch some film and just spend some good time with family, have some picnic or some trip in nature. But in camps and races when I am away from home I rest, make some fun with teammates and do some works for university. BFH: You must to know that, we will be in Hochfilzen, and of course we also will cheer to you during the competitions as loud as we can. Finally, have you got a special message to the Hungarian fans? Baiba: I hope that I will be there! And keep making nice interviews to read, it's also good way to as athletes to know each other! Thank you very much the interview, we wish you the best in your career!